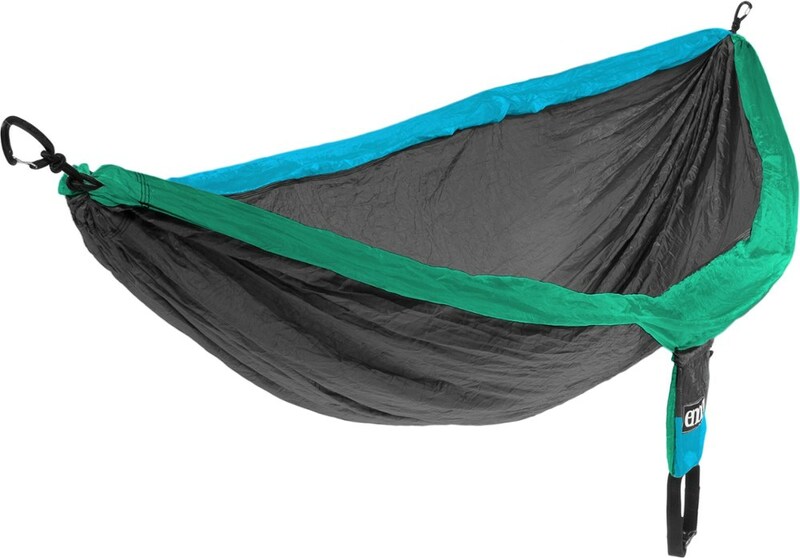 Eno Camp & Hike Onelink Hammock System - Double Deluxe ONLKDD001. 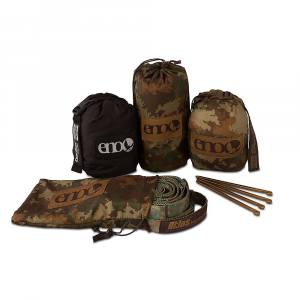 Complete with The Double Deluxe hammock and rain fly Atlas Suspension System Guardian Bug Net and aluminum tent stakes you can hit the trail with everything you need. And thanks to the OneLink's all-inclusive stuff sack you won't leave anything at home. 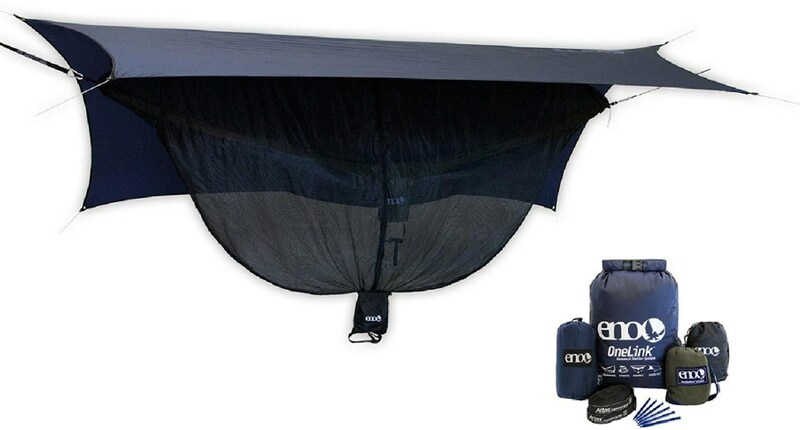 The OneLink Hammock Shelter System comes complete with a double hammock, rainfly, suspension system, bug net and tent stakes, giving you what you need to deal with Mother Nature while camping. 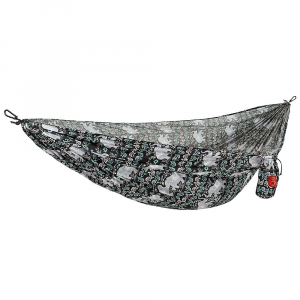 It's never until we need something that we realize we left it at home. 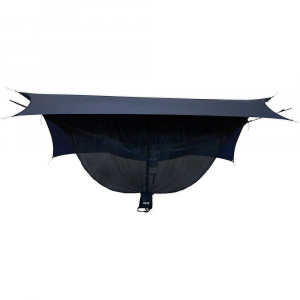 With Eagle Nest Outfitter's comprehensive OneLink DoubleDeluxe Sleep System, you've got the goods to deal with Mother Nature on a bad day. 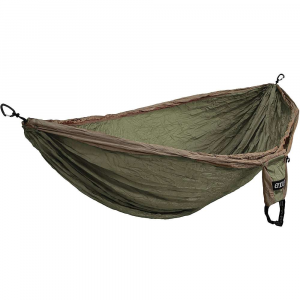 Complete with your choice of hammock and rain fly, SlapStrapPRO or the Atlas, Guardian Bug Net, and choice of tent stakes, you can hit the trail with everything you need. And thanks to the OneLink's all-inclusive stuff sack, you won't leave anything at home.